I'm surprised there has not been a thread here on this class of ship. The Atlanta (and Oakland & Juneau II sub-classes) series of ships are very impressive ships but other than pictures on NavSource.Org I've not much info. I've got the Dragon 1/700 scale kit of the U.S.S. San Diego and look forward to building it but it comes with a variety of options and I want to research before the glue hits the styrene. Dragon's kit comes with 2 seperate style bridges, but excludes the 3rd type, a "square" bridge as found on the Oaklands. Also there's an abundance of optional weaponry such as various types of light AA guns & torpedo launchers. I'd like some insight as to what type light AA guns were mounted on these ships and when & what type changes took place on the Radar sets & Bridge styles for example during the war. 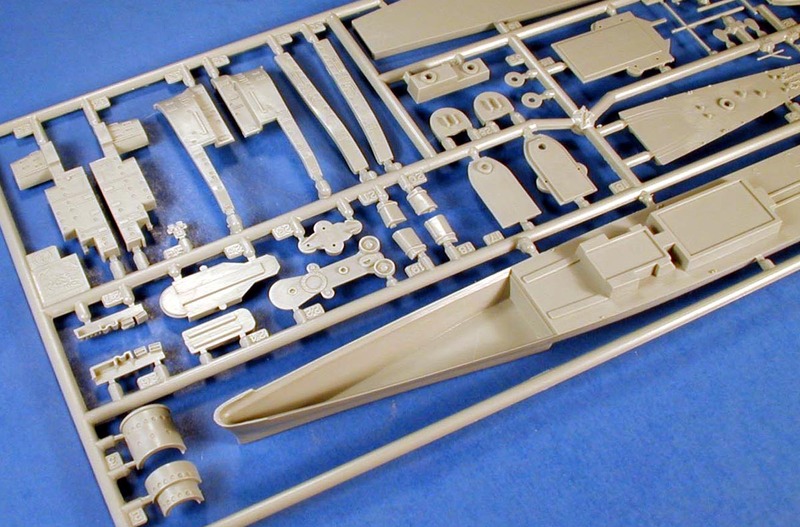 The lower hull provided for this kit has only a single rudder ansd tiny propellers, is this correct? Several photos including navsource.org show different bridges on the Atlantas. Some round, some stepped round, even a modified open round? and then the square bridges of the Oakland class'. What was the rhyme or reason to these different bridges? Upgrades during service life or different shipyard specs during construction? Several 'Atlanta's have early boat decks similar to pre-war ships and some don't. Again, an upgrade or construction difference? There were 3 batches of Atlanta's, batch 1 - CL 51-54, batch 2 - CL 95-98, and batch 3 - CL 119-121. The first 2 batches were very similar. Batch 1 (Atlanta's) ALL had the stepped bridge. Some confusion arose from the B&W photos (see NH-97819 of San Juan on navsource) because the step was not always visible from some angles, even though it was always there. The open bridge on top of the pilothouse (PH) changed from a rudimentary thing that did not extend to the front of the PH, to the more extensive thing that followed the curve of the PH (San Diego and San Juan only). San Diego had splinter screens added at the step in front of the PH, as part of a "screen flagship" mod. Batch 2 (Oakland's) actually had the same basic bridge. However, this was disguised by the fact that the PH sides were "shaved off" to narrow the structure, and simplify construction. (Flat plate is faster - fewer steps in the construction process). The PH face was still curved, as in the first 4. The curved front to the lower step was disguised by the forward extension on which 2 20MM mounts were placed. But the underlying structure remained very similar to the original batch. The open bridge, on top of the PH, was flat plate, again for simplicity of construction. Batch 3 had the superstructure totally redesigned to lower the CG, and allow more AA guns to be mounted. On this group, the design team really did start from scratch, and incorporated all of the lessons of the war to date. 2/3 of the main battery were lowered by 1 deck level, and the bridge and fore-funnel moved aft to make room for a quad 40MM. This batch had even fewer curved plates in the superstructure. The first 2 batches were designed for boats amidships. Only the first group carried them, though, and they were gradually removed to create space and weight compensation for added AA. Eventually, the crane went, as well. The second batch incorporated these changes from their completion. San Juan and all of the second batch carried 2 40MM twins in the former boat stowage area. Then this means the Dragon bridge is wrong for the 1/700 San Diego I think, which would mean using the 1 they tell you to not use. The release of the Juneau kit shows the stepped style bridge being used. Just to move this from another thread. I've got some conflicting data on the AA fit. First, Dan Kurzman's "Left to Die" indicates Juneau carried 1.1" mounts at the time she was sunk, just not how many. Also, having picked up the "US Light Cruisers in Action," there are two photos of 40mm twins supposedly on Juneau during 1942, which I think are on the forward wing positions. In addition, every photo of any Atlanta-Oakland CLAA I've seen only shows only 40mm twins, not 40mm quads like the model parts display. If you've got a Skywave weapons sprue left over, I'd suggest using those 1.1s. I was kinda let down when I saw there weren't any photo etch 1.1s in this kit. Closer inspection of the first four Atlantas also shows a third anchor on the stern, too. The first 4 Atlanta's commissioned with 3 quad 1.1's, the two wing positions by the bridge and the one between the after director and #6 5" mount. Before deploying to the Pacific, they received a 4th 1.1 on the stern. Atlanta and Juneau were sunk still carrying the 4 1.1's. San Diego and San Juan traded the 1.1's for 40MM late in 1943. They received twins in the original 3 positions, and a quad on the stern. San Juan later received 2 more twins amidships, where the boats used to be. The Oakland's all commissioned with 8 twin 40MM, the two by the bridge, two replaced the boats, 2 replaced the wing 5" mounts, one was between the after director and #4 5" mount, and the last one on the stern. During the war, Oakland and Reno replaced the last 4 mentioned mounts with quads, and deleted the torpedo tubes. Tucson was upgraded to this config post-war. When built, all 8 had the tubs on the bridge sides 1/2 level higher than depicted on the kits. Only San Diego and San Juan had them lowered to the kit level, when the 1.1's were replaced by 40MM. Contrary to the kit instructions, none of them carried quad 40MM in these bridge tubs, which are oversized in the kits. As for the Squadron photos of "Juneau" with 40MM, they are notorious for having great photos, but not ID'ing them correctly. Reread your answer about the bridge, if I understand correctly the Dragon Kit IS correct for the San Diego. I am not sure where you are going with this. The stepped bridge is correct for San Diego. The pilothouse roof piece that goes with the kit recommended bridge face has the right concept, but is sized for the wrong bridge front. It should conform to the smaller, upper bridge of the stepped piece. San Diego later had a second splinterscreen added, on the lower step, but you could still walk around the front of the pilothouse on that same level, between the screen and the PH. Than makes the kit piece, with the uniform radius from top to bottom, wrong. Is this what you are wondering about? Here's some work in progress shots of my latest build. I'm using Dragon's "San Diego" as the starting point because the "Juneau" kit wasn't out yet. I've made new gun tubs out of plastic tubing and plastic sheet. I have Tom's PE on order and it is supposed to be here on Tuesday, then I can start on the upper bridge changes. I glued the lower hull and armorbelt flush with the port side hull. I then sawed off the over hang on the straboard side flush with the hull and sanded both sides smooth, applied putty and sanded smooth again. The new armorbelt is made from .010x.080 plastic strip and cut to lenght. The 1.1" guns are from the kit. I cut the lower base off the 1.1" guns and modified four bases supplied in the kit for them to sit on. I then cut up the PE 1.1" guns supplied in he kit. The pieces were then added to the plastic 1.1" guns. Oh Boy! Oh Boy! now to bend some 1/700 PE radar pieces. Last edited by Gordon Bjorklund on Sun Nov 25, 2007 10:39 pm, edited 8 times in total. Looks great Gordon, i look forward to seeing more of her. Yes the bridge face on the Dragon kit for the San Diego is not stepped, but a full profile round bridge like on a FLetcher class destroyer. Possibly I don't follow what the splinter shield looks like but I'll keep researching photos... Clearly I'm not going to be content with just 1 Atlanta kit. 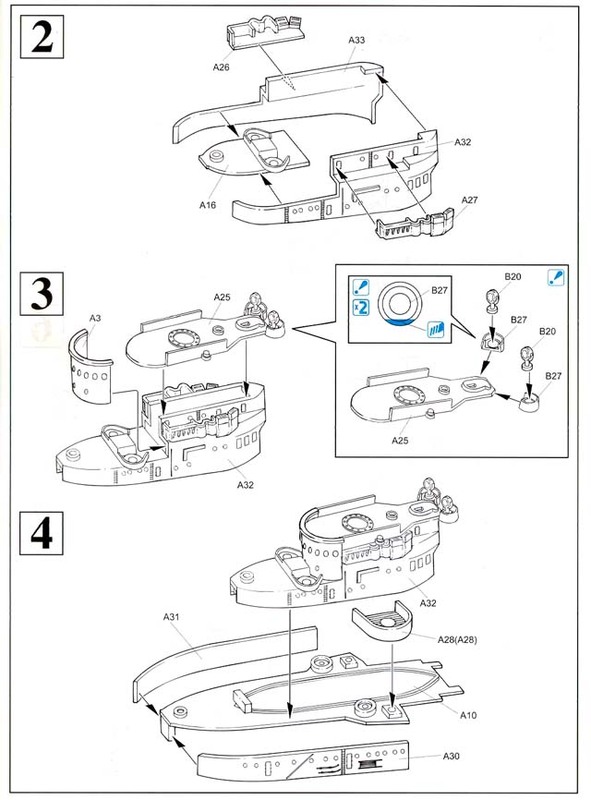 Better yet, the kit instruction shows the wrong bridge face right? P.S. I swiped these pics from the reviews on this website... all rights reserved and all that . Go to the main page and find "Navsource" (at the bottom of the sponsors). Check out the pictures of the San Diego, CL-53. If you look at the next to last photo, you can see that it was possible to walk around the front of the pilothouse. That walk-around is the step. The metal "railing" around the front is a splinter shield. The Dragon kit is wrong and their boxart is too. The bridge WAS stepped from the day she was completed until she was scrapped. Part #2 is the only one close to accurate. Part #3 is not accurate for any of the class. I would like to know how Atlanta was painted in Nov. 42. The http://www.shipcamouflage.com/ site stated she is MS 12 Modified. The discription (what two colors should be used together) of how the splotches should be applied is very confusing. What colors should the superstructure be painted? The B&W pictures are not very helpful. I can't tell if the hull is 5-S Sea Blue or a weathered 5-N Navy Blue. My guess would be 5-S Sea Blue. I believe that the Atlanta's hull was painted in 5N Navy Blue. I forgot to say that her superstructure was painted 5H Haze Gray, with 5O- Ocean Gray splotches. You are so fast! It's not the first time I say so, but I can only express my armazing. Welcome to China Ship Model site. I have a suggestion, though. Take a second look at the 1.1" mount tubs you have on the forward superstructure. I just looked at my USS Juneau I built a few years back and the tubs don't extend out that far. The outer most edge lines up with the waterline (edge of the hull) when viewed from above. It's possible I got mine wrong, but you might want to double-check it before you proceed. Here's how she looks today. The hull has been painted and just about everything else has been primed. I hope to paint the light gray later today. Thank you all for your kind comments on this build. Devin you are right about the forward 1.1" tubs. They shouldn't stick out that far. I have corrected them as you can see in the pictures. Thanks for bringing it to my attention. I have the Juneau on the top of my to do pile. I'm really looking forward to doing all those little splotches. The railings are on and she's ready for rigging and then a flat coat. I started the rigging the other day. I got one line on and set the ship aside. Last edited by Gordon Bjorklund on Tue Aug 07, 2007 12:50 am, edited 3 times in total. She'll be a contest winner!